OMG Posters! 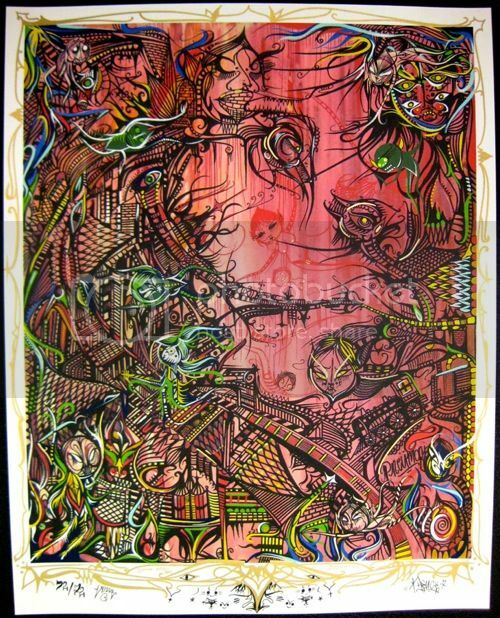 » Archive "Falling Into The Black Hole Sun" Art Print by Deuce Seven - OMG Posters! What an amazing art print from Deuce Seven and Burlesque Design. “Falling Into The Black Hole Sun” is a 19″ x 25″ twenty five color screenprint, has an edition of 72, comes hand-embellished, and is $100. Seriously big league stuff here. Visit BurlesqueDesign.com. try that link….i picked one up last week and still waiting for it to arrive….can’t wait!!! Thanks, hadn’t seen it up. MUST have.